One of the reasons we love to go to the Three County Fair is for the Demolition Derby and tonight were the Derby finals and they did not disappoint! We took Tyler last year on a whim and thought that he would be to young. However, I am proud to say that my son learned to count backwards from 5 by watching the Demolition Derby and listening to them countdown to the next heat! People. Truth be told, one of the main reasons we came back this year. Where else can you see a woman with horns (yes, horns, under her skin! ), a bunch of Rednecks Massachusetts-style, a man with an IU hat on (not Frank), "hippies", and everyone in between? Old fashioned pumper trucks and other assorted emergency vehicles waiting to rescue someone just in case? I wonder if there is anything in the rules and guidelines that says the fire trucks have to be as old as the participating cars? Boys will be boys. I guess cars are interesting to guys no matter what they are doing! But every race ends the same way. With a big forklift, a few tow trucks, and bunch more cars lining up for their turn! Today we went and saw WALL-E at the theater. This was a momentous occasion for all of us for a few different reasons. First, it was Tyler's first movie at a theater and much to our delight, he was very well behaved (is there a code of conduct for a bunch of families with small children in a dark theater?). Secondly, this was the first movie that Frank and I saw together since I was pregnant with out now almost 4 year old! Thankfully, the movie passes that we have had since before Tyler was born were still good! 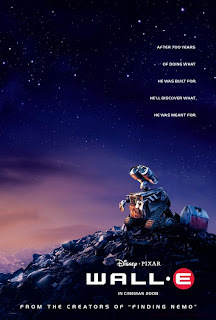 All through the previews and the mini-featurette Tyler kept saying "Where's Wall-e?". He was awed and dismayed by the size of the screen and when it became larger right before the feature presentation, he leaned over and told Frank, "Daddy, now you have to get a bigger T.V. for yourself!". Eye's glued to the previews! A son after my own heart! After dinner tonight we thought we would take advantage of the nice weather and have some ice cream. Frank chose Friendly's for ice cream. He was secretly craving their Reece's Pieces Sundae! Tyler has been very into E.T. over the past week and we watch it every night before bed-- he loves the part where Elliot lures E.T. into the house with the candy. Anyways, I digress! We headed on over to Friendly's, ordered our ice cream, and sat outside at a table. Tyler quickly tired of his usual vanilla soft serve and M&M's and ran around on the grass for a bit (that gave me a chance to polish his ice cream off. Isn't that what kids are for?). At one point, he came over to us and said "Look! Tree Barf!"... I had to capture the moment on film, so enjoy our laugh of the day! As a side note, sorry about the movie orientation! I have no idea what I was thinking or what I was doing! On Saturday Grandma and Grandpa Genovese came for a visit. We had a great time! For dinner, we invited Glen, Elaine, Olivia, and Derek over. The guys all spent the afternoon golfing and we played with the kids. I remembered that morning to fill Tyler's pool and by the time Olivia came, they were ready for a swim and the water was like a nice bath! We all got to enjoy each other's company and relax for awhile. Frank made us a wonderful meal on the grill and we all ate until our bellies were happy! Tyler and Olivia had such a wonderful weekend together, it was so nice to see them play together and get along so well! After they were done swimming, they both got dressed and played baseball and basketball. Before we knew what was happening, they were tossing the balls into the pool, and going in after them, clothes and all! THEN, both Tyler and Olivia decided that in the pool was where they would rather be and off their clothes went and in they went! I had to laugh! The shots I got will make GREAT blackmail pictures someday! This week while Tyler and I were watering our garden, I noticed something green peeking from underneath one of the plants. A looked closer and found a HUGE zucchini! Although I had thoughts of barbecuing the vegetables we picked, Grandma Genovese fried it up for us on Saturday. Yummy! Other than this zucchini, we have smaller squash and three pumpkins that will be ready for carving in a few weeks! After 10 years of living in Massachusetts, I finally made my way down to the Connecticut shoreline beaches! Tyler and I packed up and headed down to Hammonassett Beach in Madison, Connecticut. Tyler and I packed our stuff an headed over to Elaine, Olivia, and Derek's house. On the way down, we picked up Olivia and Derek's Aunt Kara and we all enjoyed a very relaxing day together on the Connecticut shore! Tyler and Olivia digging away. We all packed sand toys and the kids had a blast digging in the sand and collecting shells, rocks, and fish. Tyler actually went into the water on this trip. During our trip in April to Florida, Tyler found out the he was no match for the waves and never went into the water after the first beach day. Today he had no problem running in and out of the water (thank goodness!). Tyler and Olivia enjoyed lunch of peanut butter, jelly, and fluff. The kids all played so great together, it was amazing to watch. All the way home they talked and played pretend as well (Olivia was the doctor and Tyler was the nurse!). When Derek wasn't chasing after the seagulls, he entertained himself on the shore as well! After 10 minutes in the car on the way home, he was chasing the birds in his dreams! I am proud to say (and I have nothing to hide!) that I turned the big "3-3" on August 14th! I had one of the best birthdays of my past few years on Thursday and I owe it all to Frank and Tyler. After Tyler broke the bond of Manhood by spilling Frank's secret earlier in the week, I had no idea what else I was in store for! All I knew was that I was getting cake-- that is no surprise since every year Frank buys one at the store, but NOT this year! Frank and Tyler worked hard all afternoon and baked and frosted me a delicious, moist, cake! That was the nest part of all! When I got home from work, Tyler jumped out from behind the kitchen counter and screamed "Happy Birthday, Mommy!". I immediately had a smile on my face. Then, he could not wait for me to open my presents and he gave me his. (Drum roll, please!) I got a LABEL MAKER! Who knew that I would be so excited about such a small thing! I had one, but it was a nuisance to use and I opted to not use it! Now, in the few days I have had this new one, I have labeled everything that has been screaming for labels (and then some)! Then Frank gave me his gift. When I was in Chicago in April, we sampled Hanae Mori Perfume. I loved it and remembered this back in July. I told Frank when we were flying to Indiana "you can get me this perfume for my birthday." By this point, I had already done some research online and knew that it was difficult to find around here. But you guessed it, Frank found it! I am so excited to finally have some nice perfume to wear! Don't worry, I resisted the urge to label the perfume box! And relish in the fact that my son is 3 and he loves to eat icing! Thanks, guys, for a great birthday! You were definitely the bright stars in my week! Last weekend when the Opening Ceremonies were on, we let Tyler stay up a little late and enjoy the show. He was so enthralled by the fireworks, the light drums, and the acrobats! All through the show he kept asking "when are they going to do gymnastics?". It was difficult for him to grasp the concept that what we were watching marked the beginning of the Olympics for the next two weeks. Tyler did not make it to the Parade of Countries with all the athletes, but he has seen his fair share of them in the past 8 days! Since last Friday, we have watched as much of the games that we are capable of! With modern television and technology, we have even DVR'd certain events that are on after our bedtimes and caught repeat performances on the Internet! Tyler loves the swimming, diving, beach volleyball, gymnastics, basketball, and soccer. He has been very excited about the athletes winning their medals and claps after their performances! While we were getting dressed this morning, I took this video of Tyler. He was so cute imitating the divers and gymnasts! Maybe we have a future medalist in the family! As a kid, I was lucky enough to attend the 1984 Olympics and maybe someday Tyler will be blessed with the same experience! Jenny, Jenny quite contrary, how does your garden grow? Quite nicely, thank you for asking! The zucchini and squash plants are growing like weeds (and thank goodness for that because otherwise the weeds would be taking over!). When you look close enough, this is what you find! Our first veggie grown with little help from his human farmer! Now only if I knew how long I was supposed to let it "grow" for! These are our pumpkins. I remember planting regular pumpkin seeds and enormous pumpkin seeds. When I planted them in the garden, I could not remember which plants were where. Now I have no problem with that! When we returned from our trip, I looked out the living room window and saw this huge, snaking vine along the top of my bush! (You can see it in the picture, cascading from the top of the bushes!) That's right! A pumpkin plant! These have taken over most of the garden and are making their way into the lawn. I guess they are called enormous pumpkins for a reason. I couldn't resist this picture. Tyler has been a bit under the weather lately but managed to squeak out a bit of energy to swing with tonight while dinner was cooking. I watched him from up on the deck and every once in awhile he would come over and say hello. At one point, I HAD to ask him "What are you going to surprise mommy with on her birthday tomorrow?" And Tyler said "A cake!" Sorry, Frank, I guess I know who to go to for all the info and I just simply cannot wait! Thanks, Ty! I still remember when Green Bay played the Buffalo Bills. Frank got me tickets to the game in Buffalo. We went for the weekend to the great city of Buffalo (they do have really good wings there!) and went to the game on Sunday. Green Bay lost. On the ride home, we listened to sports radio. Guess what I heard on that day? Miles Brand telling the whole world that IU had fired Bobby Knight. Ye gads. My favorite sports figures will be ever connected that way! People have asked me for the past few weeks-- "what do you think about Brett?" I'll now tell you what I think about Brett (even if you don't want to hear!). I feel like a 7th grader at a school dance and I was just laughed at by the boy I really like. I am broken hearted and right now I want nothing to do with football in the Fall. I will be watching my television, but I will be watching the pilot of the new 90210. I will not be watching the Jets. I will not be a Jets fan. I will have green on-- green and gold, that is. Once again, I must say, thanks for the memories, Brett. It was nice while it lasted. The only better thing than watching your son on "television" is watching your son watch himself on "television." As much fun as it is to rekindle those old memories I am equally as excited about what lies ahead. For example, 27 Woodridge may be our first house but 4 Brookside is our dream house. Without you all of this would not be possible. Your hope and faith in us has allowed for us to be in a position where we have so much in both our family and our material possessions. There is little that we lack and that is because of you. I am a very lucky man and although I don't always say it, I know that I am. Thank you for the best first seven years anyone can possibly have. Happy Anniversary! It was 7 years ago today that we became husband and wife and time has flown by. I have no idea what I would be doing today without you. Do you remember when we met 10 years ago? I remember that you had that hockey jacket on-- zipped to the neck! I also remember thinking "Who in the world zips their jacket that high?". I know what your thoughts were of me. When we all went out that first night, I remember coming home and watching (in horror) as you downed that plate of spaghetti! I also remember Labor Day weekend when everyone left the house and you called to check in on me and we went out together. I think that was the start of where we are now. We used to watch college football games at the house on Saturdays. You used to bum my egg rolls. We would go get Chinese food and you didn't care for it. Now not a Sunday goes by without us ordering it! The Hot Club, Hot Pants, bringing you ice to help heal your pulled muscle after a game of golf. These are all things I think about when I remember those early days before we were even a couple. Then the kiss-- you kissed me first. I will always say that. I also think about how nervous I was when you graduated and were looking for a job. Thank goodness for Henniker, New Hampshire. If you hadn't gone there, you would have ended up someplace else-- farther away! When I graduated, we got our apartment together. I remember the official "moving day." You left for a haircut and didn't come back for 2 hours. Little did I know that you were making dinner reservations and buying champagne. When you proposed to me, you were so nervous! I thought it was the sweetest thing ever. I will always remember you on 1 knee in our living room at 83 East Alvord on May 11, 2000. That was our first night living together and the first night I was your fiance. Fifteen months later, I became Mrs. Jennifer Genovese (Julia Gulia). That was the best wedding I was at, I never wanted it to end. We had a great weekend with our family and friends. Then it was off to the Bahamas for a great honeymoon. Some day we will go back. Now look at us-- we have come a long way! We have traveled and done things that some people will never get to experience. We have a wonderful son who amazes both of us every day. We work hard and know each other like the back of our hands. I have a great life with you and I thank God every day that you are my husband. I am lucky to have such a great man, friend, and dad to out son. Thank you. Every day with you means that things are still to come and for that I look forward to those surprises! Tomorrow is out 7 year anniversary and I thought I would share 7 things about our early beginning together. 1. Frank and I met in Springfield, Massachusetts in August of 1998. We met the same day my parents officially dropped me off for graduate school at Springfield College. Frank was beginning his second year at American International College for his Master's degree. Contrary to popular belief, we did not like each other and I would dare to say we didn't even get along that night! 2. He proposed to me on May 11, 2000. It was in our first apartment together. I was getting ready to graduate on May 14, 2000. When he had graduated the year before, I took him out to dinner to celebrate. He told me that he would also take me out to eat on the 11th. After spending the morning moving in, he told me he was going to get a haircut. I stayed behind and unpacked a bit. After 2 hours, he finally showed up. While I was showering, I remember hearing him running through the apartment. After I was dressed, he asked me to dance (there was no music on!) -- he was acting really weird. He finally just told me to sit down and he got down on one knee and I finally caught on to what was going on! Afterwards, he explained what he was doing for those 2 hours-- he was going to Cafe Manhattan, the restaurant we were to eat at that night, and picking out the table-- table 11. He had also bought some champagne. The number 11 is significant because it is his hockey number! 3. Our wedding weekend officially started on Thursday night, at our rehearsal dinner at the Crazy Horse in Bloomington. On Friday, my parents hosted an Open House at their place, and there was a golf outing. On the Sunday morning following our wedding, we all had brunch at the IUMU on campus. It was a lot of fun to hang out with family and friends for the whole weekend and not just on Saturday. 4. We were married in Bloomington, Indiana at St.Paul's Catholic Church on the IU campus. Father Dan married us and he did a wonderful job! Our reception was held at the Indiana University Memorial Union, also on campus. It was a great party that no one wanted to end! Towards the end of the evening, we asked the DJ and the bar to stay open for another hour. The last song at our wedding was "New York, New York" by Frank Sinatra-- played also at the end of every home Yankee game! We had people at our wedding from all over-- New York, Massachusetts, California, Hong Kong, and The Netherlands. 5. We left for our honeymoon on Monday. We spent 10 days at the Sandals Resort in Nassau Bahamas. On our first night there, we were so tired that we ate dinner and watched Monday night football (pre-season) and went to bed. The other 9 days were so awesome! We went snorkeling, swimming with dolphins, and participated in games at the resort. We were contestants on the Sandals version of the Newlywed Game-- we came in last place but definitely had the crowd on our side with the answers to our questions! The night before we came home, we celebrated my 26th birthday at the French themed restaurant. What a great trip! Two years after this trip, we visited the Sandals Ochos Rios Resort in Jamaica. 6. When we arrived home from our honeymoon, we found our apartment in disarray. Our friends who looked after the place "decorated" it for us-- they turned all the furniture upside down and backwards. It really was a funny sight to come home to! Because they had also been in Indiana for the wedding, they stocked up on IU and Bobby Knight stuff which they left strewn all over the house, including baby outfits! 7. We purchased our first house together in October of 2002. It was the only house that we went into and we had not even discussed buying one or bothered to get a Realtor. We both fell in love with the house and it had everything that we wanted in a home. We looked at it on a Friday and by Friday night had put in an offer. On Saturday, I was in Boston to take my LMHC exam and Frank called me after the test to let me know they accepted out offer over 3 others! Although we no longer live there, it will still be "our" house! We also remember the house on Woodridge as the one that we brought home Tyler to. It will always hold a special place in our hearts!